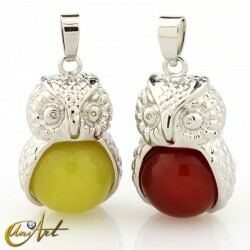 "Aunque soy clienta desde hace poco creo que son rápidos y muy amables en el..."
price: (Retail)	9,80 € tax incl. Black agate bracelet with mantra "Om mani padme hum". 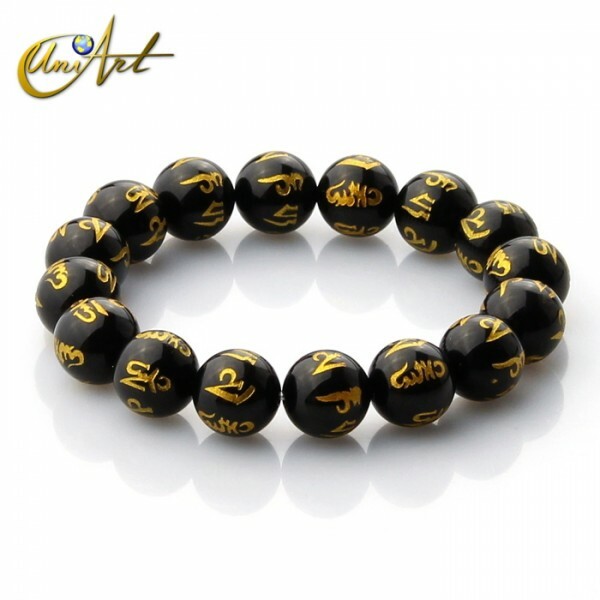 This elastic black agate bracelet features the mantra "Om mani padme hum" in golden words. 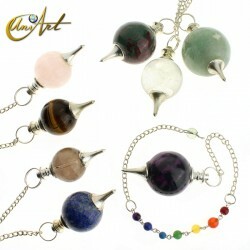 Available in three bead sizes: 10 mm, 12 mm and 14 mm. 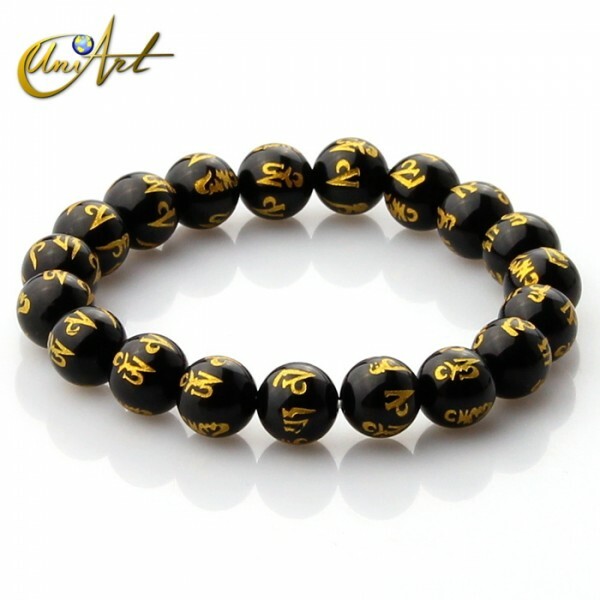 The mantra "Om mani padme hum" is the best known and used for meditation. 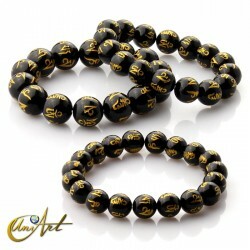 Translated as "The Jewel in the Lotus". 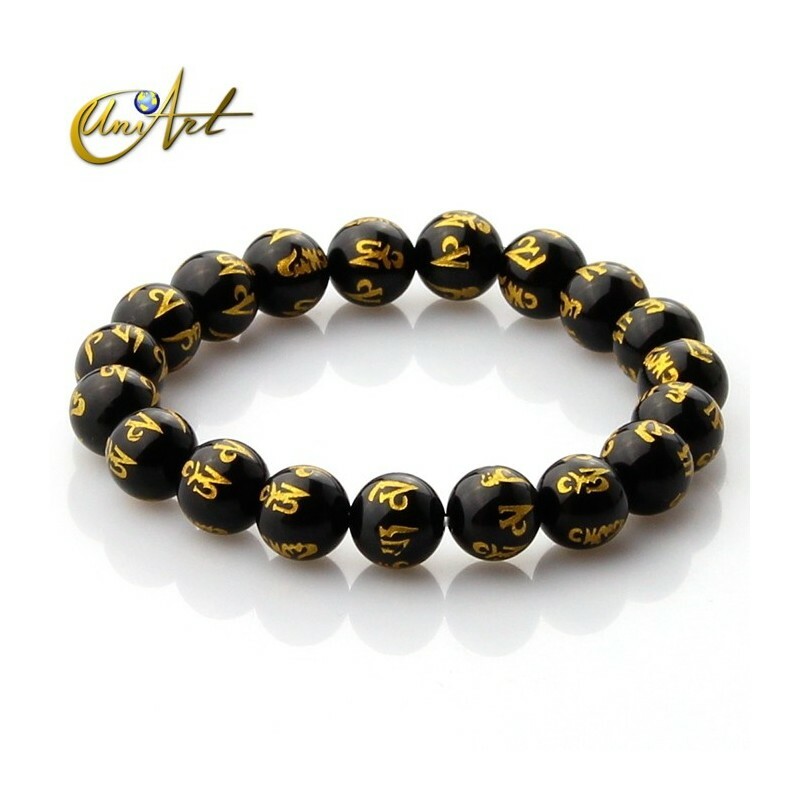 It has a great meaning, where each syllable symbolizes a gift (Meditation, Patience, Discipline, Wisdom, Generosity and Diligence), representing the purification of body, mind and soul. 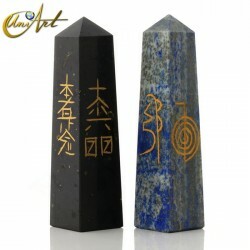 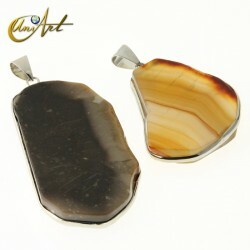 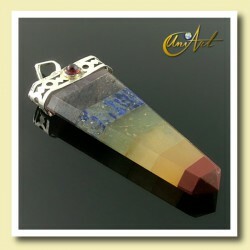 Black agate neutralizes negative energies, bad vibes and envy.